Size: X-Large 4/5, Color: White is currently out of stock! Size: X-Small 9/10, Color: White is currently out of stock! 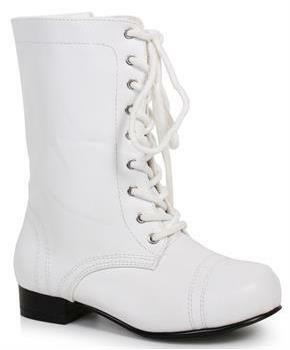 No matter what costume you pair these Children's White Ankle Combat Boots with they're sure to be a hit. Includes (1) pair of boots with 1" heel.